For over 30 years now, the S.O.N.S. of Lake Erie has worked hard with others including the L.E.A.F (Lake Erie Arboretum at Frontier), PA Sea Grant, Coastal Zone Management and early on with kids from Strong Vincent High School to clean up, restore, improve habitat and reduce sedimentation and pollutants entering Presque Isle Bay. 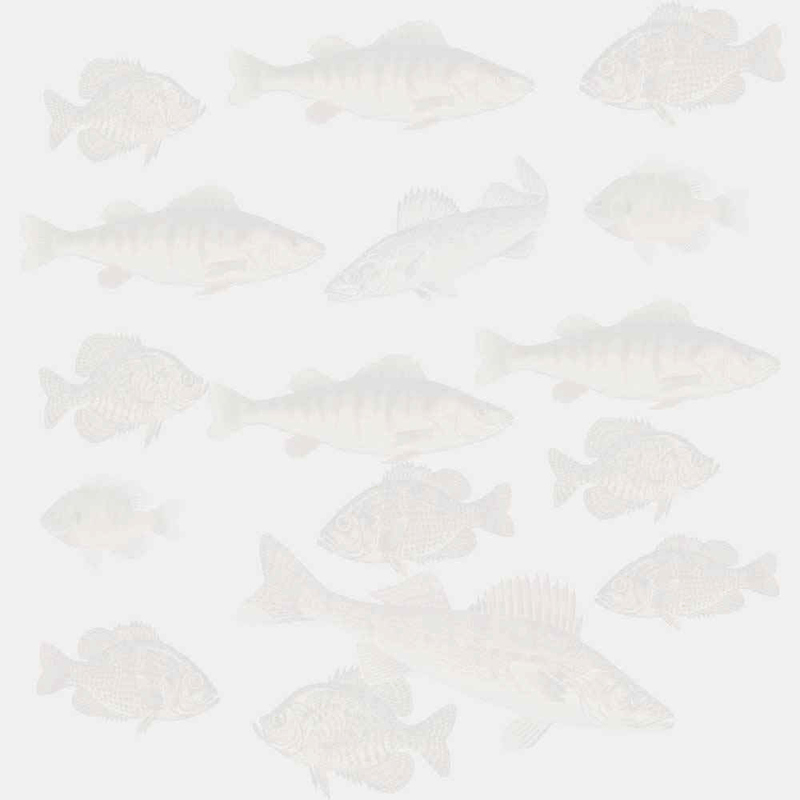 All of the efforts over the years by us and our partners have changed a previously polluted stream into a viable water way to support trout providing a fishing opportunity for inner city residents. 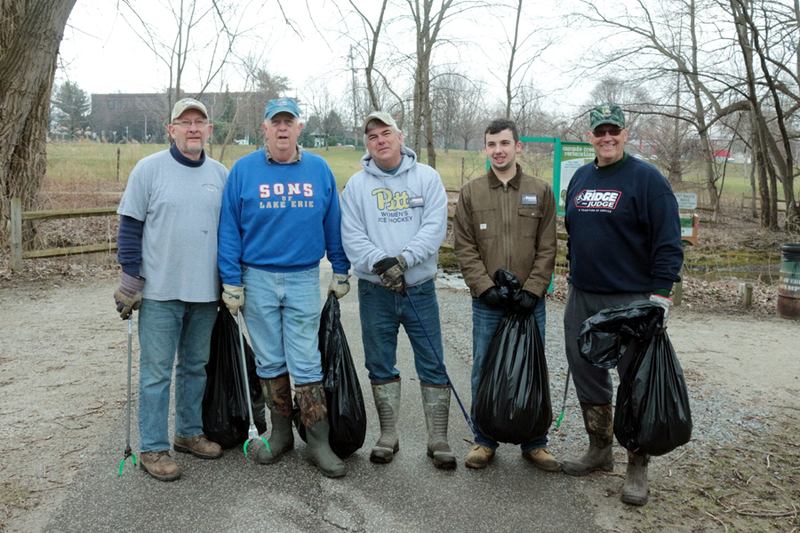 This year on April 6th forty seven SONS volunteers were joined by Boy Scouts and leaders from Troop #13 headquartered at Elmwood Presbyterian Church in Erie along with members of the Gannon University fishing club and some park neighbors to clean up Cascade Creek and Frontier Park. The day ended up being sunny and pleasant after an early fog. 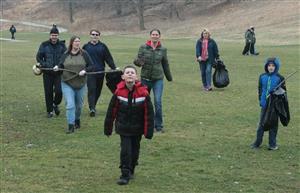 As they have done for years, the volunteers gathered garbage bags of litter. All was business as usual until I observed two women with two kids walking toward me with one of the ladies carrying a stick with something white on the end. As they got closer I realized that they were carrying a human skull. 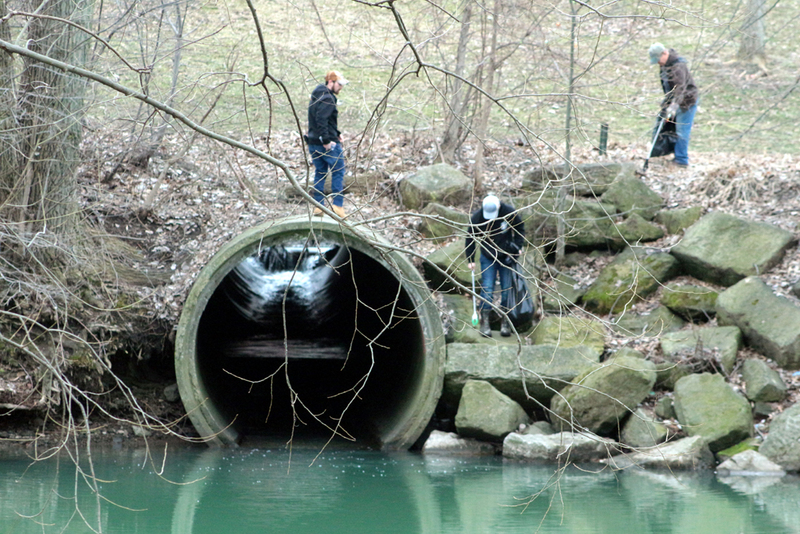 The cleanup volunteers said they found the skull along the bank of Cascade Creek. They took photos of it before they picked the skull up. We called the Erie Police who arrived and started an investigation. 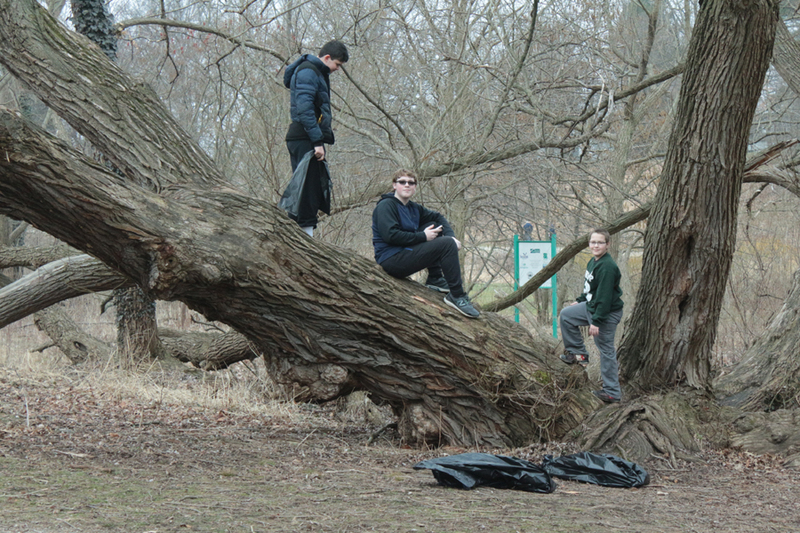 As of this writing more bones were recovered along the Cascade Creek stream bed by the police and the Mercyhurst University Forensic Anthropology team. The investigation is ongoing. After the work was done everyone was provided a lunch of hot dogs, coffee, bottled water and chips. The stream was stocked with brown trout on April 12th. 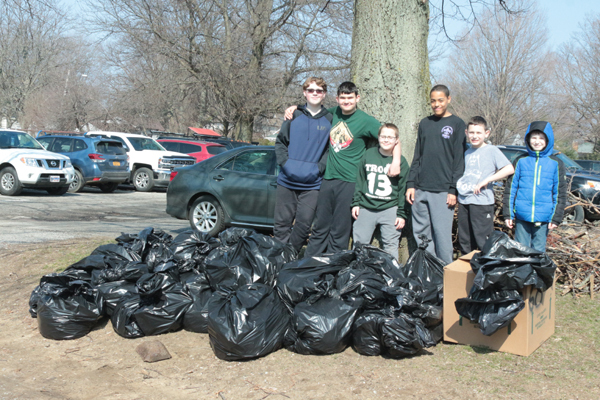 Photos taken during the clean-up are shown below including the scouts from Troop and Pack #13.